If you are reading this article then you are reading the words of an enthusiast blogger! 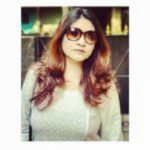 Hi, I am Shalini Mukherjee - A professional Blogger and by passion a Makeup Vlogger! I like to travel around the World and passionate about sharing my travel dairies with you all. I believe in living life to the fullest!